Happy, highly focused people deliver outcomes that automation simply cannot match. 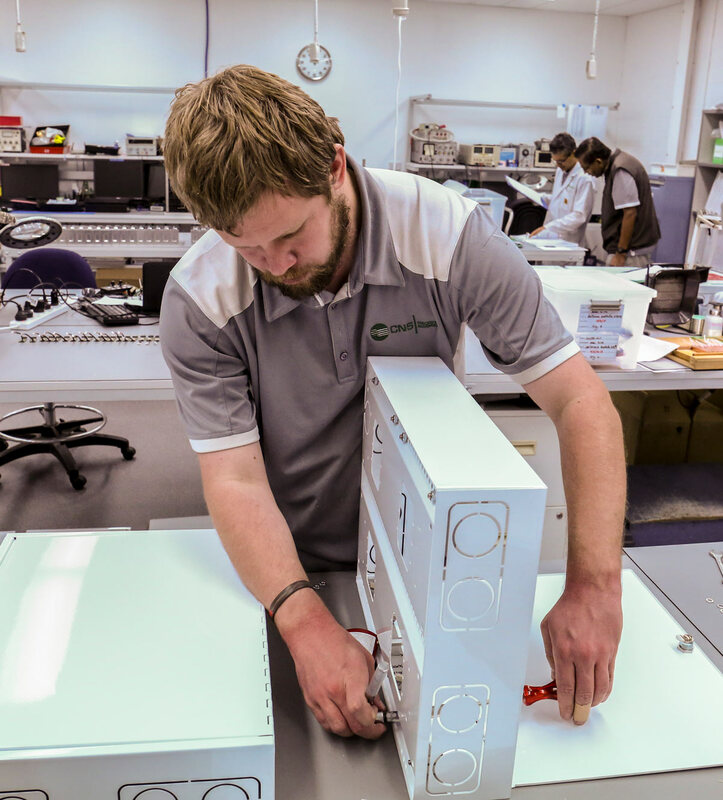 This is what sets CNS Precision Assembly apart. We offer you a clear choice. 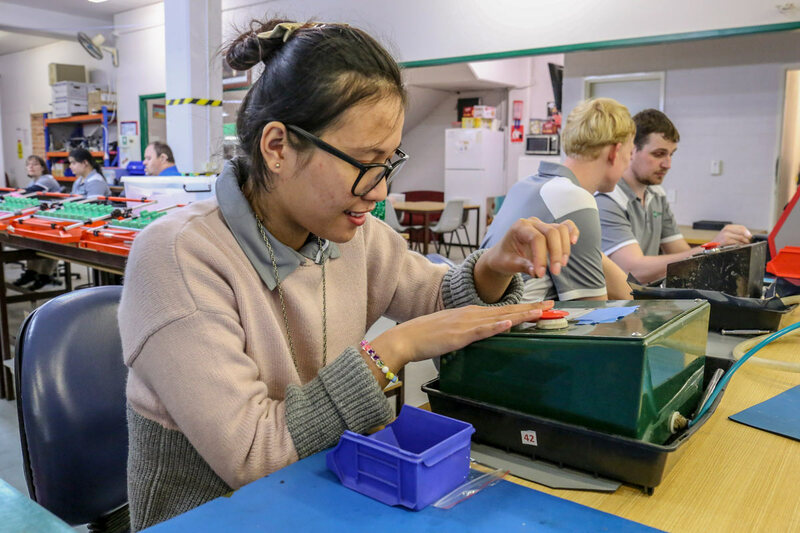 In the world of electronic, electrical and computer technology assembly and fabrication, productivity turns on one critical aspect – the ability to repeat a task with speed and accuracy. Our people are unique in their ability to deliver industry-leading output for two reasons – how they work and what motivates them. 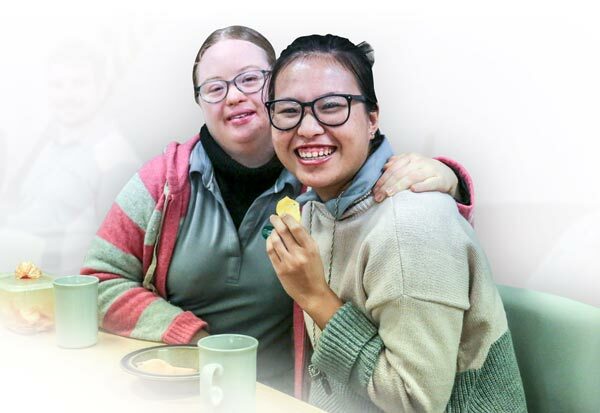 Established over 30 years ago to employ an Australian NDIS workforce – in Australia, the CNS team possess an extraordinary attribute that flourishes in detailed, highly patterned and structured tasks. Turbo-charging their skill set is a self-motivation best described as the pure joy of being part of an environment where their abilities and contribution flourishes. 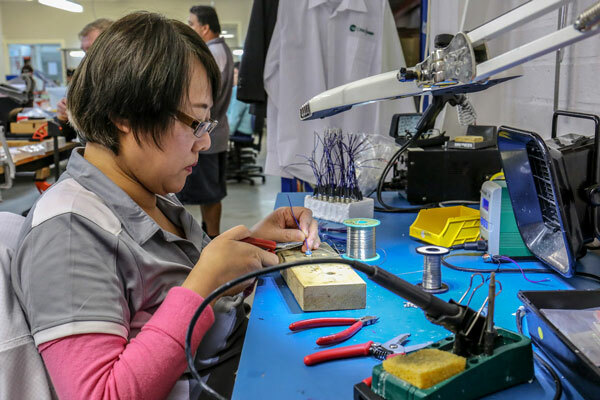 Through hole assembly involves the insertion of leaded components into plated holes drilled through a printed circuit boards, which are then soldered to make an electrical connection. 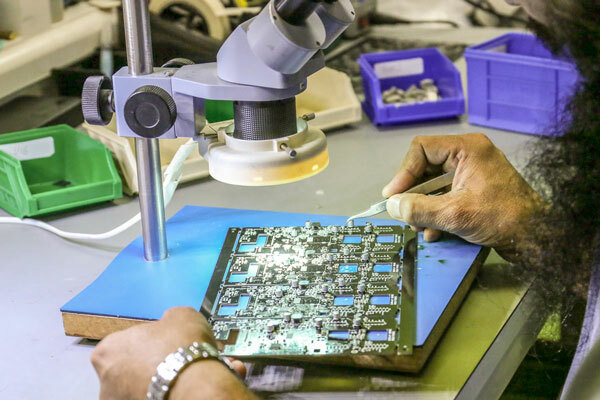 Surface mount components are accurately placed on printed circuit boards (PCB’s) using robotic pick and place machines. 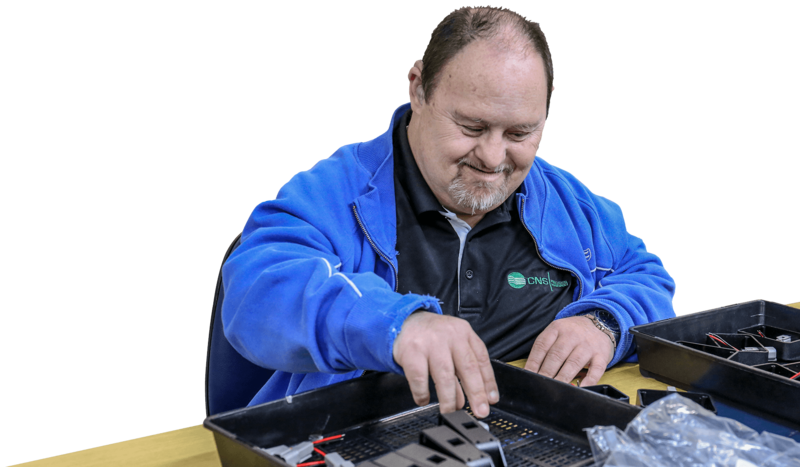 This type of technology allows for SMT components to be placed on PCB’s with efficiency and reliability.